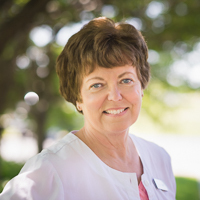 Dr. Steber and Staff have provided professional dental care to residents of Northeast Michigan for over 30 years. We utilize the latest technological and medical advancements to provide the greatest level of care possible to our patients. For example, our new digital imaging system creates high resolution x-rays at a greatly reduced dosage of radiation than traditional x-ray systems. We invest in your health! We also strive to create a friendly, relaxing atmosphere to make your visit with us a comfortable and pleasant event. Sit back, relax and watch television in our massage operated dental chairs while we provide you with the best dental care possible. 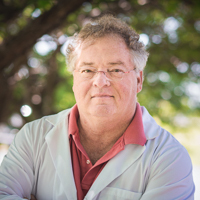 Dr. Michael Steber attended Alpena High School, Michigan State University undergraduate and received his Doctor of Dental Surgery from University of Detroit in 1981. 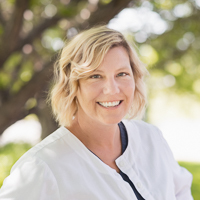 A member of numerous dental organizations, Dr. Steber and staff are regular continuing education attendants that are focused on the latest dental trends and techniques. They are constantly re-investing in new technologies and equipment that keep pace with the ever changing dental world. Dr. Steber is the proud father of three daughters Michelle, Jessica and Kelli. He is an avid fisherman, and enjoys living on Grand Lake with his wife Debbie and his two beautiful English Setters, Max and Lucy. 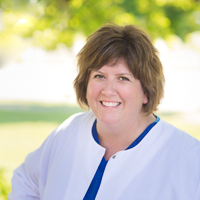 I am a graduate of Ferris State University and have been a Registered Dental Hygienist at Dr. Steber’s office since 1987. I enjoy working at a state of the art, friendly office where we provide a pleasant and comfortable experience for our patients! My interests include cooking, fine dining, entertaining, gardening and massage therapy. My husband and I live on Grand Lake with our two English Setters Lucy and Maxwell. I love spending time with my son Jason and his wife Debbie, daughter Robin and her husband Guy and three grandchildren Noah, Gabe and Marli. Having family and friends at our home makes me very happy. I always enjoy working with customers and for the past 17 years I have worked in sales and front-desk positions. Since late 2014, I have had the pleasure of working with Dr. Steber and Staff and greeting each of our clients as they arrive for their appointment. I make it my point to ensure your experience with us is pleasant right from the start. I enjoy spending time with my husband, son, daughter and friends. In my spare time, I like to cross stitch, read, and enjoy spending time in the great outdoors. 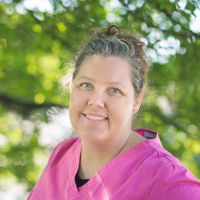 I have had the pleasure of working with Dr. Steber and his staff for 7 years as a dental assistant and as a registered dental hygienist. Having grown up in Alpena I have been a patient in the office since I was six and had always wanted to work here due to the fun, caring and comfortable atmosphere I observed when I came in for my visits! I received my BS degree in Human Biology from MSU and my associates in Dental Hygiene from LCC. 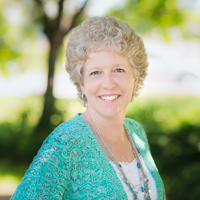 In addition to attending many continuing education courses I am also an active member of the Sunrise Side, Michigan and American Dental Hygienist Associations. I have been married for 6 years to my husband Joshua and we had our first daughter in 2014. I also have two crazy dogs- a black lab and a black lab boxer that love to swim and run! Living out in the Grand Lake/Presque Isle area we enjoy hiking, swimming, boating, fishing (big lake and ice!) and of course socializing and entertaining friends and family. My background in business and education has provided me the chance to do what I enjoy most; working with people and learning new things everyday. I joined Dr. Steber and Staff in the spring of 2013. The fun, relaxed atmoshpere of our dental office makes it a great place to work and "visit"! I am thankful to be living and raising my family in Alpena and am taking great advantage of all that it has to offer. In my free time I love spending time with family and friends, watching my two children play sports, home improvements, entertaining and bike riding. 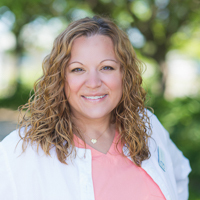 I am a dental hygienist and joined Dr Steber’s team in 2002. I graduated from Alpena High School, Alpena Community College and Ferris State University. I have the pleasure of working with wonderful team members. We strive to provide our patients with the best quality care that each patient deserves. As a team we offer a very friendly, caring, comfortable and relaxing atmosphere. I live in the Grand Lake area with my husband, our daughter and our Chesapeake Bay Retriever, Remi. I enjoy cooking, reading, boating, swimming but mostly I enjoy my time spent with family and friends. Prior to my six years as a dental assistant I was a veterinarian assistant for nineteen years; where I discovered my love of animals. Our small hobby farm located outside of Alpena has just about every animal you could imagine. My husband of eleven years, and our darling daughter share my passion for the outdoors and you will often find us horseback riding, camping or fishing together somewhere in beautiful northeast Michigan. 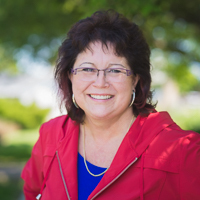 I started with Dr. Steber as a dental patient 35 years ago and joined his team 4 years ago as a dental assistant and receptionist. I find the work rewarding and have enjoyed meeting many new people. Time here always flies!! I’ve been an Alpena, MI resident most of my life while graduating from A.H.S. and A.C.C. with an Associates Degree in Applied Science. After getting married and living briefly in Petoskey and the Ann Arbor area, my husband, John, and I decided to return to Alpena and raise our two children.